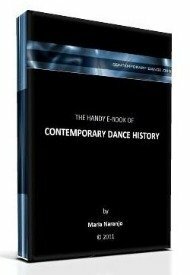 How does contemporary dance help me? - Contemporary dance might teach you new and different ways to move, which will widen your choreographic vocabulary and possibilities as a dancer or choreographer. - Contemporary dance might give you technical alternatives to gain new physical skills or to improve what you already know. - Contemporary dance might open your mind and spirit to new ways of understanding your own body and the one of others. This might also show you new ways of relationships (towards others and towards yourself as well). - Contemporary dance might show you new ways of expression or work in interdisciplinary ways, by its tendency to make fusions with other arts or dance types. That is how contemporary dance can help you.